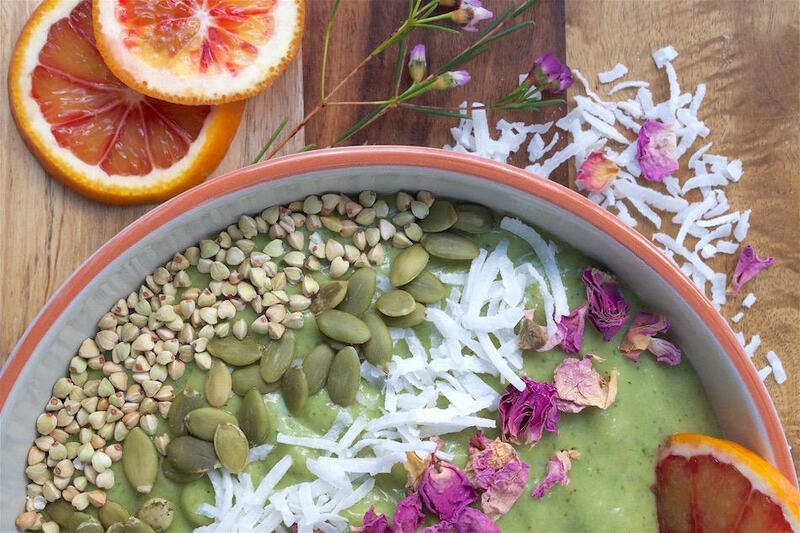 Smoothie bowls are such a great way to enjoy everything you love about a smoothie, with a little extra fun and sustenance. If you find your morning smoothie doesn’t sustain you for too long, try topping it with some extra nuts, seeds, dried fruit, fresh fruit, oats or activated buckwheat. You can also try adding a teaspoon of plant-based protein to your smoothie bowl.